Here’s why people are fleeing the “banned” countries, and how the Executive Order has affected their lives. Last month, President Trump issued an Executive Order that bars Syrian refugees from entering the United States indefinitely, suspends all refugee admissions for 120 days, imposes bans on refugees on the basis of their religion, and blocks citizens of seven Muslim-majority countries, refugees or otherwise, from entering the United States for 90 days: Iran, Iraq, Libya, Somalia, Sudan, Syria and Yemen. Although the Executive Order was temporarily suspended by the 9th US Circuit Court of Appeals, it is not permanently abolished, and the administration plans to release yet another equally restrictive Executive Order. In the midst of these ongoing legal battles, many refugees who have already gone through the lengthy security vetting process and been approved for resettlement in the US are now living in limbo. Oxfam staff work alongside women, men, and children from conflict zones, including five of the countries listed in the executive order, which are facing some of the worst humanitarian disasters in the world. The travel ban is already having an impact on the lives of those fleeing violence. Families have been separated, people have been left stranded, and their lives have been put in danger. So why are people fleeing these countries in the first place and what has it been like to be “banned” from entering the US? Here are some of the latest reported stories from real people, and how the ban has impacted their lives. Somalia is struggling with one of the world’s largest displacement crises. It has faced two decades of conflict, made worse by drought, which has brought untold challenges for the country’s most vulnerable people, including 363,000 children under 5 who are acutely malnourished. The maternal mortality rate in Somalia is among the highest in the world: 732 maternal death per 100,000 live births, more than 26 times higher than the US rate. Oxfam has been working to help people thrive and survive in the midst of crisis by creating wider access to sustainable ways of earning a living, improving basic service delivery, and granting access to humanitarian aid. One million Somali refugees have fled to neighboring countries, and a million remain displaced within Somalia. The conflict in nearby Yemen has further complicated this crisis, resulting in thousands of people from Somalia and Yemen now fleeing into Somalia. The crisis in Yemen has produced the greatest number of people needing emergency aid in any country in the world. More than 3 million people have been forced to flee their homes due to the bombing and fighting. Oxfam has been in Yemen for more than 30 years, working to improve the water and sanitation services, and livelihoods of thousands of people living in poverty. Our focus is on women's rights, health care, disaster preparedness, and helping people have a say in the decisions that affect them. The conflict in Sudan between the government and rebel groups has killed untold numbers of people and caused massive displacement. 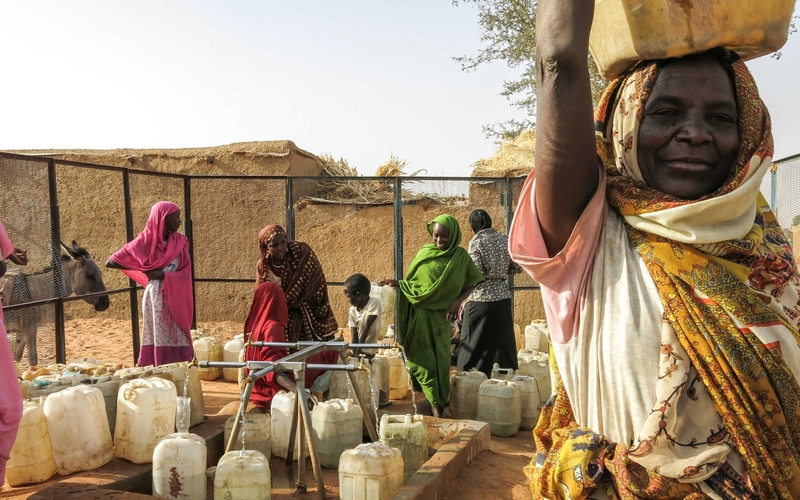 Together with our partners in Sudan, Oxfam is addressing immediate public health needs, supporting women, installing wells and constructing latrines, providing cash grants, and distributing relief materials. More than 3 million Iraqis have been displaced across the country since the start of 2014 and nearly 220,000 are refugees in other countries. Oxfam is providing life-saving assistance to displaced people in Iraq through cash or vouchers to help them meet critical needs. 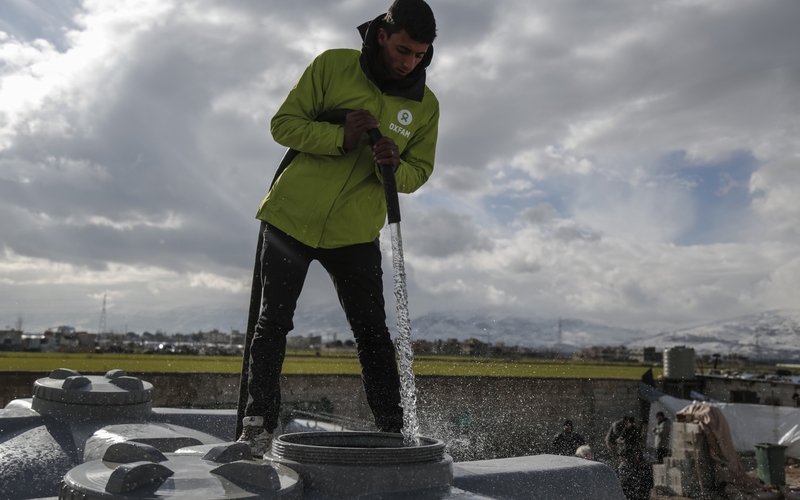 We are also rehabilitating water infrastructure, providing sanitation facilities and supporting hygiene promotion activities, providing livelihood opportunities for displaced people and returnees, which helps them to access income while displaced or recently returned. 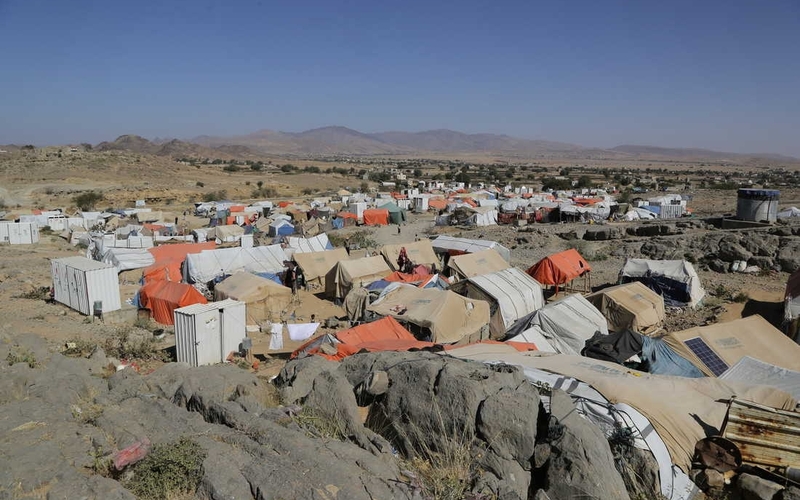 Syria’s conflict has led to one of the biggest humanitarian crises of the century. Over half of the country’s population has fled: 5 million people have sought refuge in the region and beyond, and 6.3 million people are internally displaced, in most cases multiple times. 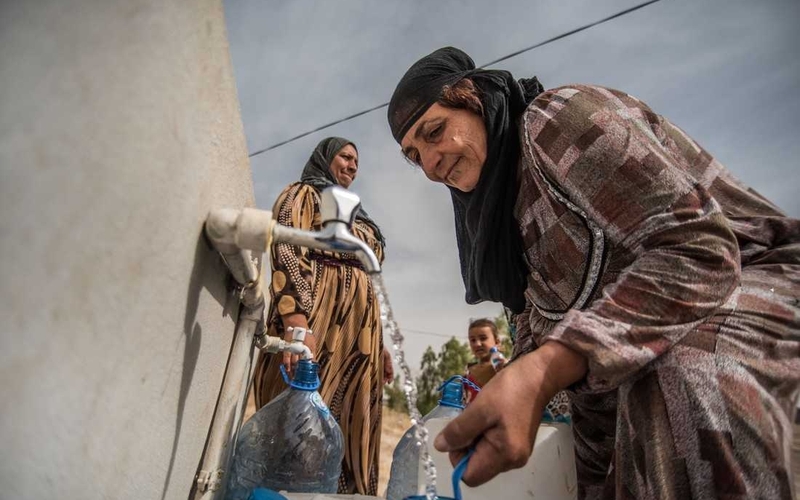 Oxfam reached 1.12 million Syrian refugees in Jordan and Lebanon with clean drinking water or cash and relief supplies. We are also helping families get the information they need about their rights, connecting them to services such as legal aid, as well as working on sanitation. Tell Congress: overturn the refugee and immigration ban now.